Hi, friends and Happy Friday! 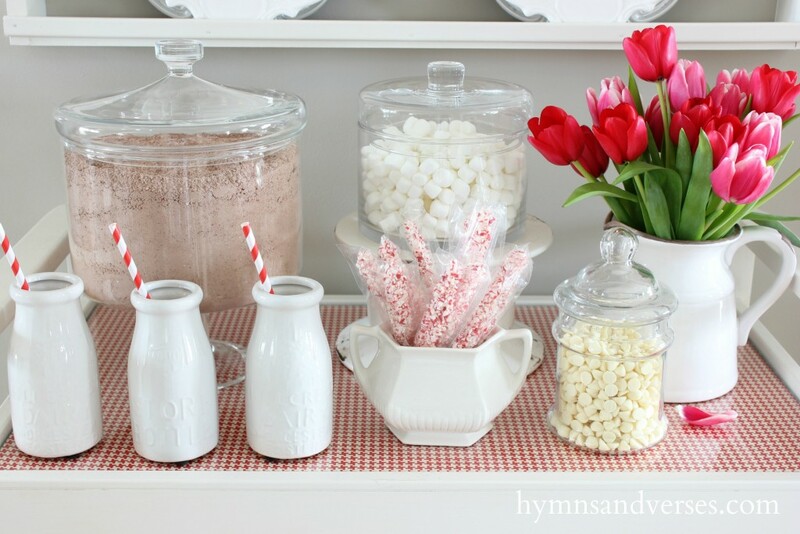 I’m here today to share a little Valentine’s Day hot chocolate bar. You know, this week just did me in! Hubs has been sick for three weeks and in that time he’s been on two different antibiotics, a steroid, and more. I was diligent about disinfecting door knobs, faucets, every surface that could hold a germ . . . but, I finally succumbed to the dreaded sickness earlier this week!!! I’ve been in a fog for most of the week – so much for my plans to share some fun Valentine’s Day projects with you! Instead of feeling defeated, I did manage a little nod to the holiday by doing a few small things. 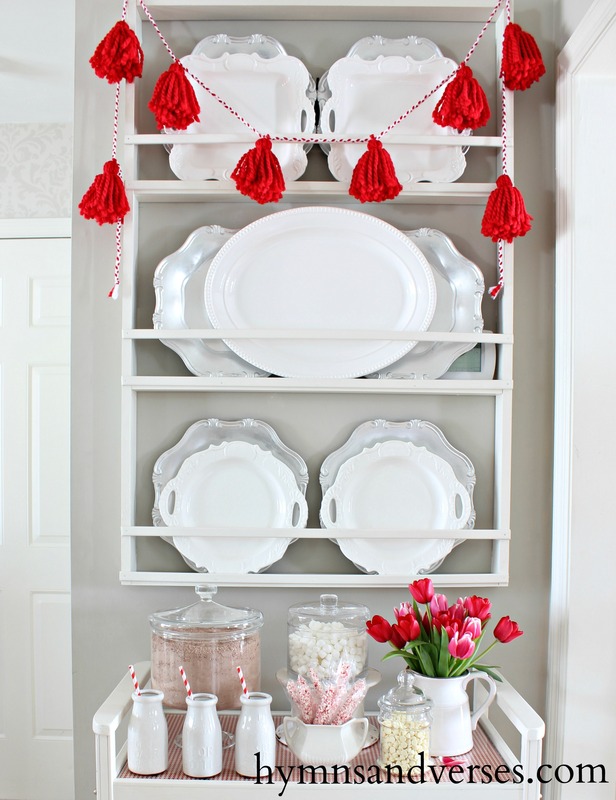 I moved my hot cocoa station to the bar cart, picked up some pretty Dutch tulips from the grocery store, and hung my red tassel garland over the plate rack. Quick & easy!!! Just a little nod to the holiday and it brings a smile to my sniffling and sneezing self! You can easily do the same in your home! Just whip up some of my hot cocoa mix. You can use a pretty glass container or just a large ball jar to hold it! Then, fill another glass container or jar with some marshmallows! Add some fun spoons or stirrers, mugs, and more add-in’s like chocolate chips or caramel! I hope you’ve had a great week and that Valentine’s Day will find you filled up with love! 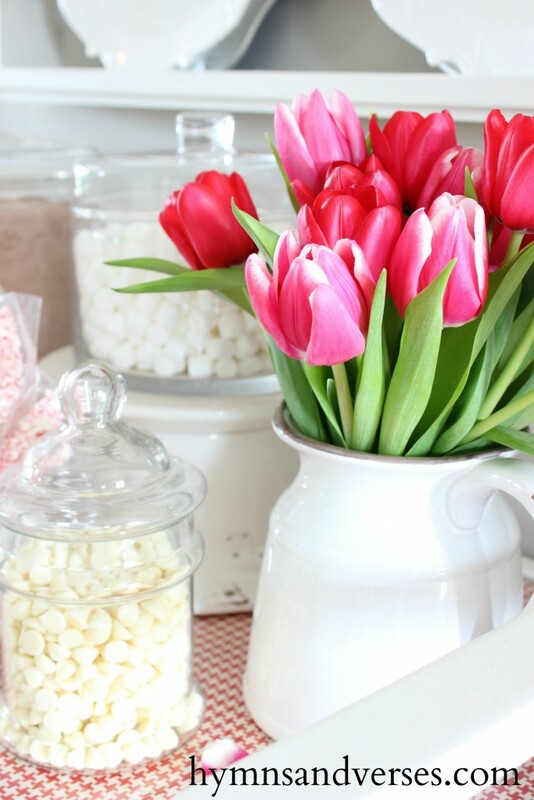 Here are some more hot chocolate bar ideas that are perfect for Valentine’s Day! Enjoy! 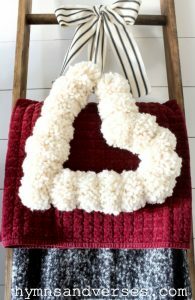 And, here’s a Valentine’s Day DIY you might like! 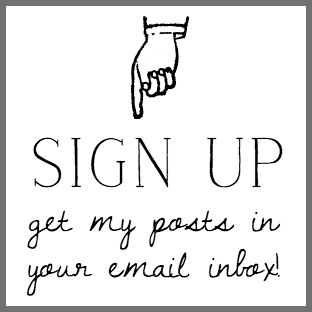 Don’t forget to sign up to receive my posts in your email inbox! 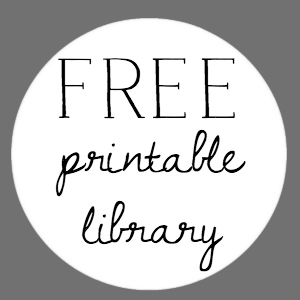 It’s so easy and you’ll get access to my FREE Printable Library with lots of exclusive prints just for my subscribers! Once you sign up, you’ll receive an email from me with the password to the printable library! Very cheery! 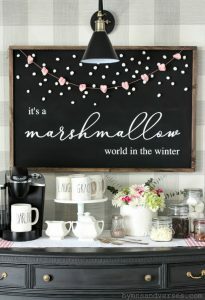 Really like the idea of a hot cocoa bar!I love your plate rack, do you mind sharing where you got it? I actually made the plate rack. If you click on the words “plate rack” in the text of the post, it will take you to the full tutorial of how to make your own. It was a quick and easy project!!! Hope you are feeling better soon. My husband just had major surgery to fix his shattered wrist and it had been a very tough day for him. 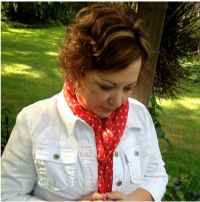 Thanks, Kathie! I’m feeling a little better day by day! Praying for your hubs that his healing would go smoothly and without complication!! Have a great weekend! I’m reading this after a sudden hospital stay too your blog is my resting. Like the display. I’d be in poorhouse if I could drive as I see so much I in my fuzzy brain say oh I’d like that. Tulips do not grow well here. So I love them on cart. Delight. Oh I read didn’t snopes it brass especially but most metals are naturally anti microbial. Ahhhhggghhhh all the runny Lysol over the years. Then my neighbor had something dr said ONLY bleach kills. At school my friend said spray desks with a water/rubbing alcohol mix between lunch –hour break they air dryer. It stopped our cycle. I heard pour hydrogen peroxide on surfaces. Not poison but kills. Lord keep us well. Direct our steps. Even from satans trickery greater is He that is in us than he in the world. 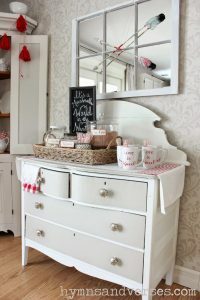 I love the hot chocolate bar, I made a similar one for my grandkids. I forgot to take photos (urhg!) but it was all well loved and used.